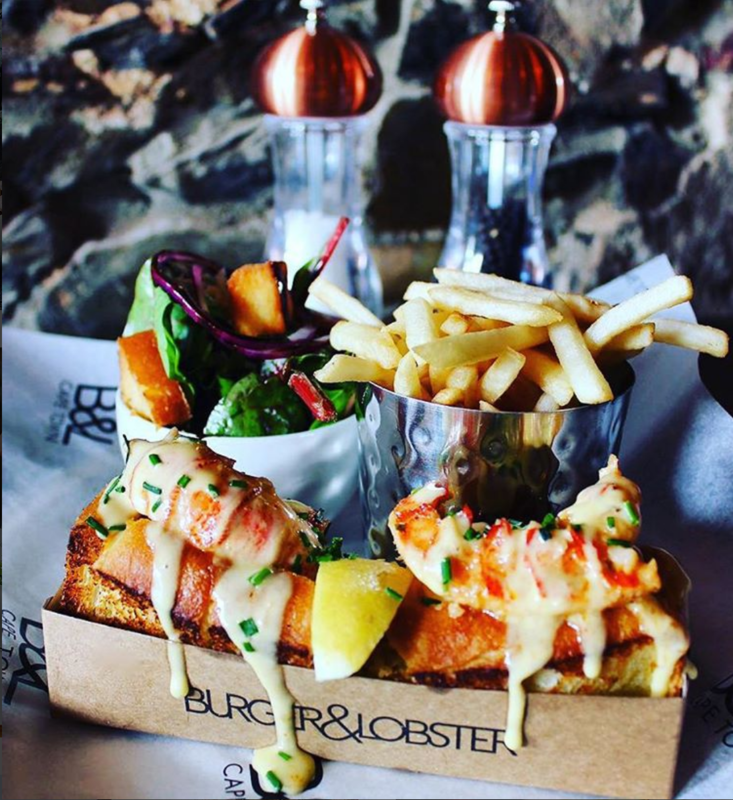 The booming culinary culture in the city of Cape Town welcomed Burger & Lobster in July 2016. 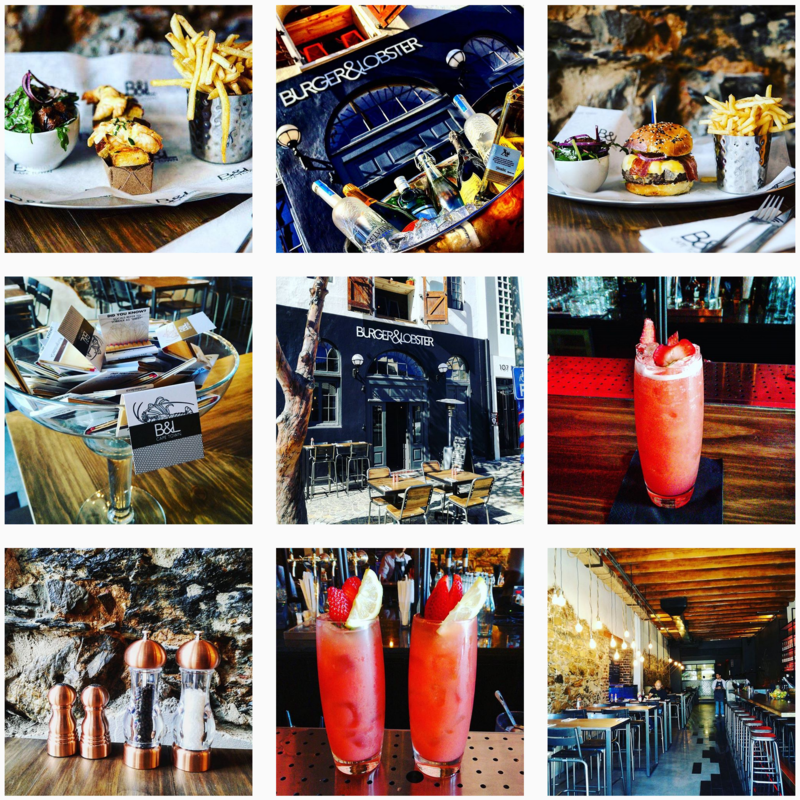 Overlooking Heritage Square, just next door from Pure Creative, this cosmopolitan addition serves some of Cape Town’s finest lobsters and one lip-smacking burger. Their approach is a simple one. With only 3 items on the food menu, your choice has almost been made for you. But whatever you end up choosing, be sure to have a feast. 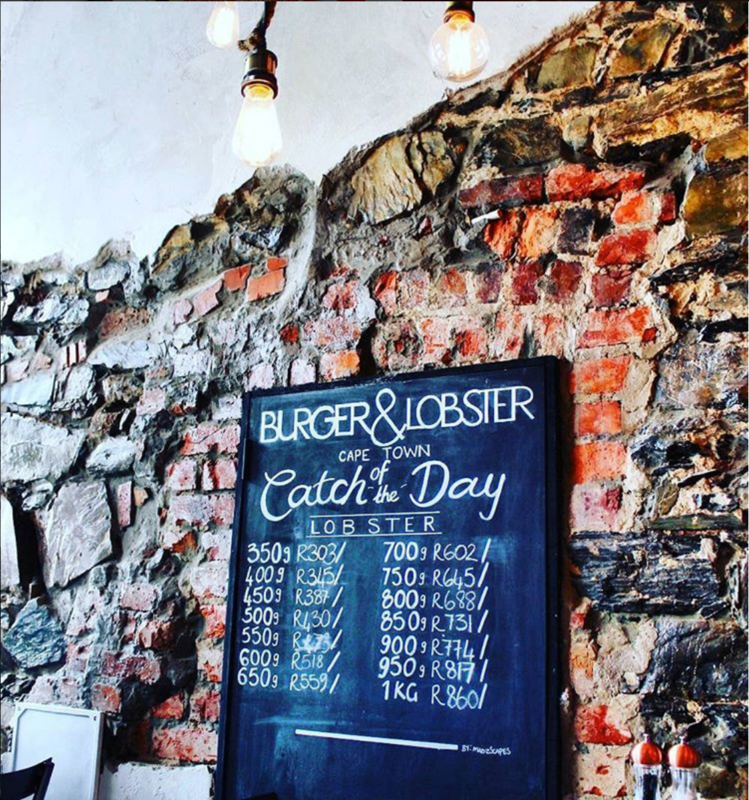 The trendy cocktail and lobster/burger bar is a must visit space that has been elegantly decorated from tip to toe. Its high ceilings and selective face brick walls contribute to the metropolis atmosphere. The limited menu is executed to perfection, through producing all of their ingredients in house. For example the cheese, bread and mayonnaise. The key for B&L Cape Town is in-house production, to monitor and control the high-set quality. 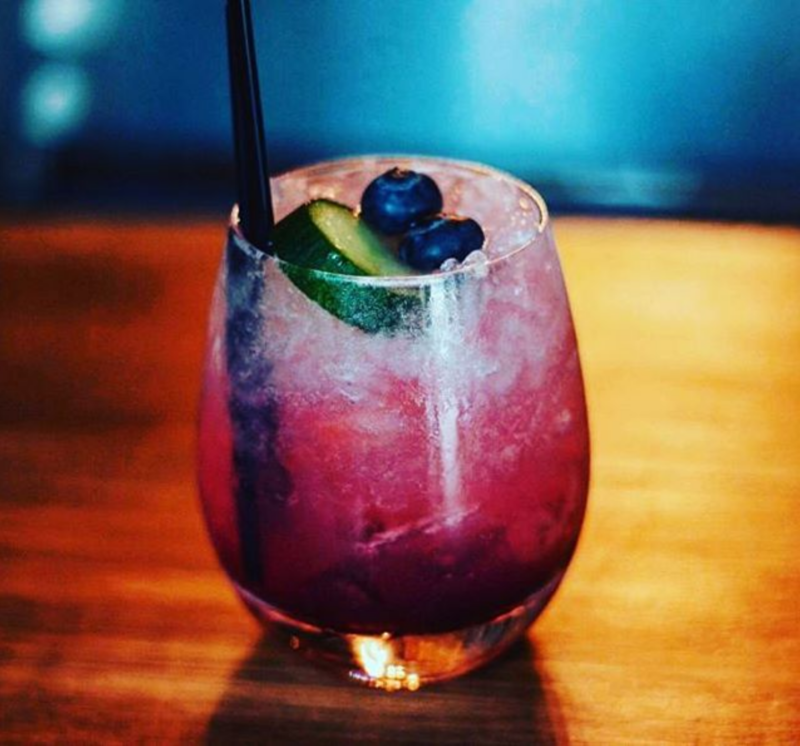 You can also look forward to an extensive cocktail pairing menu. 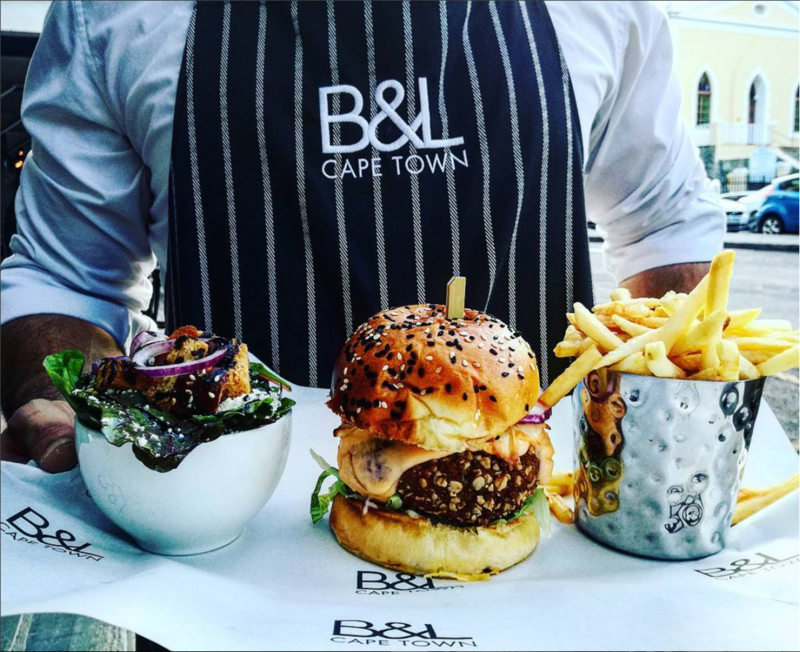 B&L’s setting, food and service deserves a big five-star. Three main course are on offer: The B&L gourmet burger (a 250g pure steak patty arranged on a freshly baked sesame roll topped with two selections of homemade cheeses, maple syrup bacon, home-pickled gherkins, red onion, lettuce and tomato which is then trickled with house-made mayonnaise), the B&L Lobster Roll (lobster tail (initially frozen) in a freshly baked new England-style brioche dressed with Japanese mayonnaise) and fresh whole Lobster (from the tank) done two-ways – steamed or steamed and finished off on the grill. All B&L dishes are presented with a basket of American-style fries and a fresh, green side salad.